Feared as the silent killer, hypertension better known as high blood pressure can sneak up on you without symptoms and strike. Our blood pressure is broken into systolic and diastolic values. The systolic measurement is the maximum pressure in the arteries, and the diastolic measurement is the minimum pressure in the arteries. Normal blood pressure is defined as 120/80 or lower, 120 represents the systolic measurement and 80 represents the diastolic measurement. Hypertension occurs when blood pressure reaches above 140/90. It’s a condition where blood applies too much force against the walls of the blood vessels eventually causing health problems. Even with dangerously high blood pressure readings, most people have no symptoms at all. Some people may develop headaches, shortness of breath or even nosebleeds. But symptoms usually don’t occur until high blood pressure has reached life-threatening levels. Age: Hypertension is more common in people aged over 60 years. Blood pressure can steadily increase as the arteries become stiffer and narrower due to plaque build-up. Obesity: Being overweight is a key risk factor. Alcohol & Tobacco: If cancer or liver failure doesn’t get you first, hypertension will. Existing health conditions: Cardiovascular disease, diabetes, kidney disease, and high cholesterol levels can lead to hypertension. Physical inactivity, a salt-rich diet low potassium in the diet can also be contributing factors. I remember when I walked into my acupuncturist’s office and told her I’d been suffering from sensations of pins and needles, and that periodically I would feel painful pressure all over my body, almost like I was 30 feet below sea-level. She took my blood pressure and the reading shocked me, it was 195/90. I didn’t understand it, I went to the gym 5 days a week, I ate organic, and I didn’t smoke or “drink”. So how the hell did I develop high blood pressure? There was no way I was going to take high blood pressure medicine because once you go down that road, it turns into a long journey of addiction and deteriorating health. I started to do lots of research for a natural remedy, and the first thing I found was Bragg’s Apple Cider Vinegar. I tried taking a teaspoon a day and it actually controlled my blood pressure, but it didn’t cure it. So I continued to do more research and that’s when I discovered the priceless Dr. Carolyne Dean, an expert on magnesium. After spending hours reading watching her youtube videos and reading her blog about the different types of chelated magnesium, I decided to buy Doctors Best Elemental Magnesium Glycinate. After taking the magnesium for a few days I went to my acupuncturist, and incredibly my blood pressure was 180/20. Periodically I would pass by my acupuncturist for the next few months to check on my blood pressure, and each she checked it, it came back 180/20 or a lower. See my article “Magnesium: The Miracle Mineral”. What I learned from Dr. Carolyn Dean is the commercial soils used by the corporate food industry is nutrition depleted and literally is null and void of magnesium. Worse, for whatever reason commercial fertilizer manufacturers don’t put magnesium in their fertilizers, I’ve also noticed this with the fertilizer available at my local Home Depot store. In America, we all have magnesium deficiency, and probably anywhere else dependent on industrialized food. 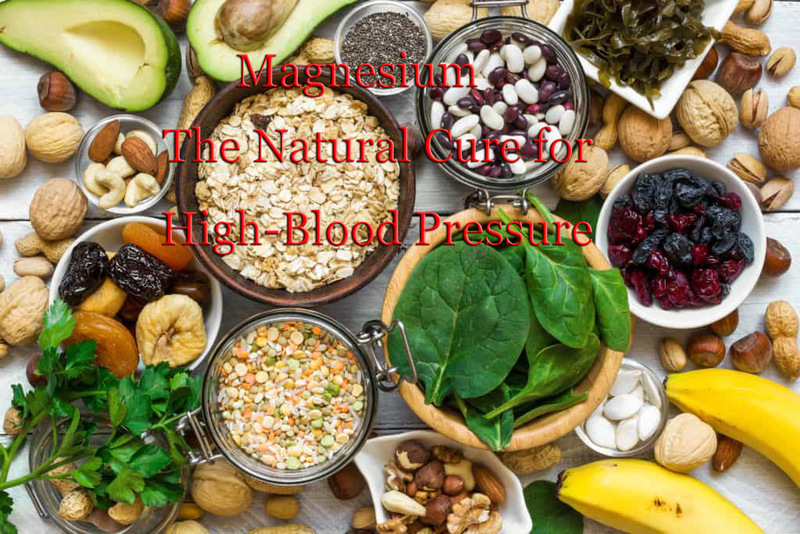 Not having magnesium in our diets is causing a host of ailments from epilepsy, to heart attacks, to high blood pressure. We all need to supplement with magnesium if we live in America.